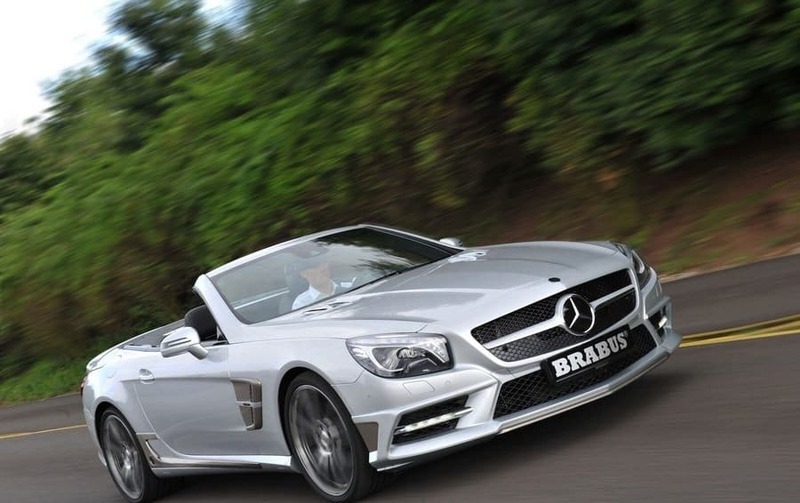 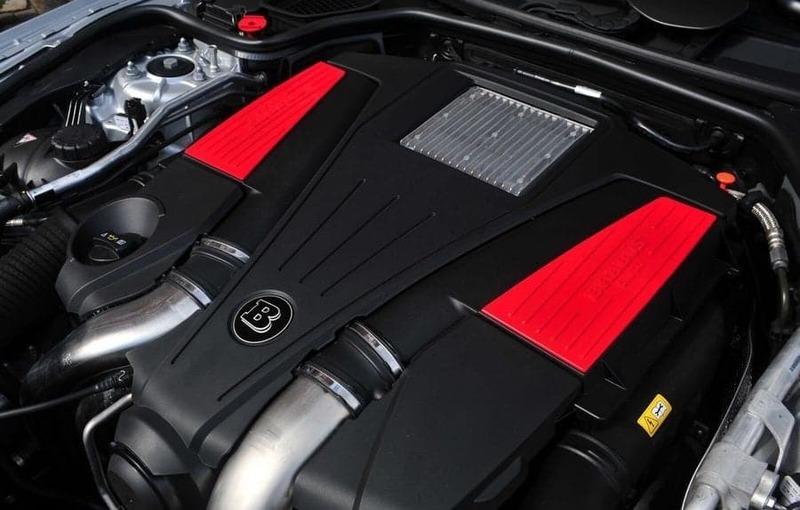 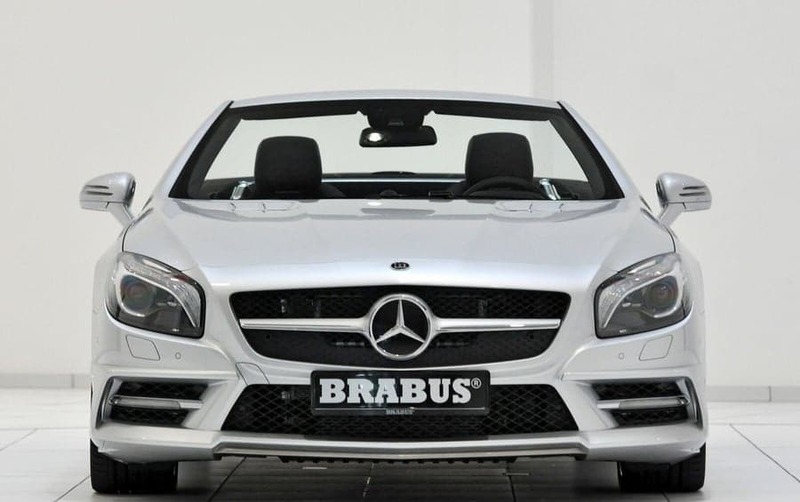 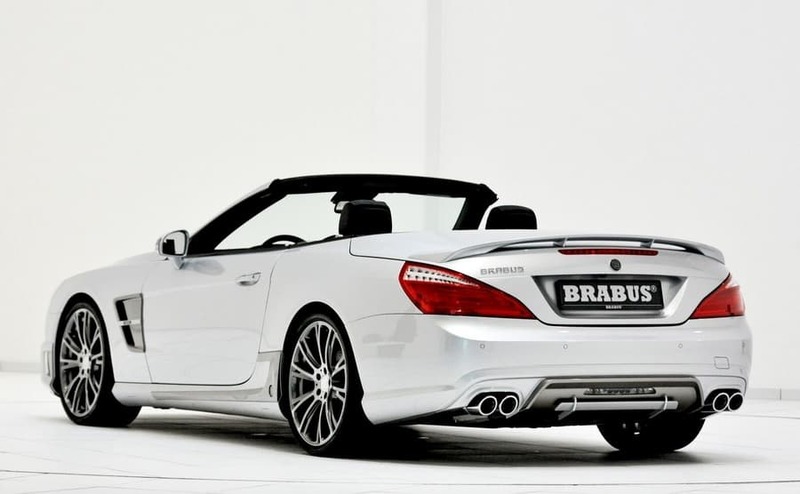 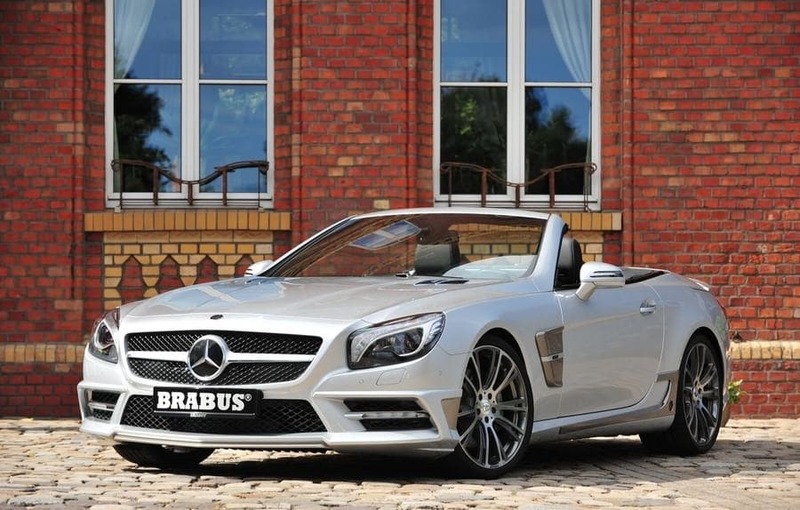 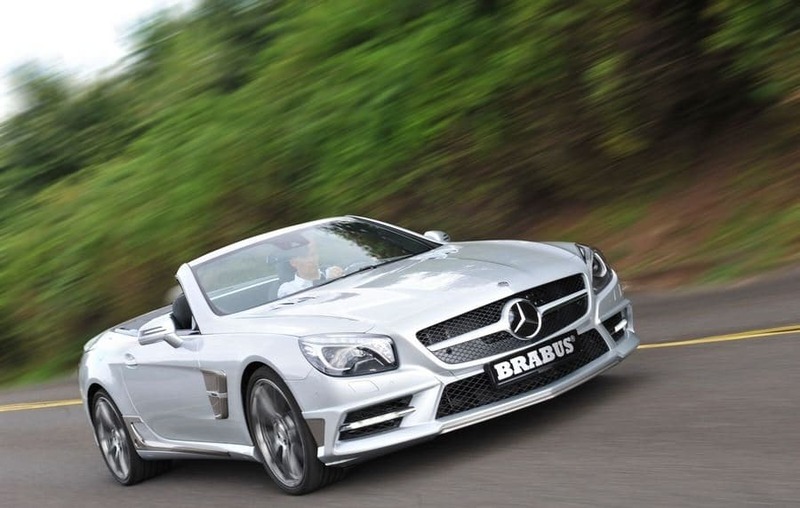 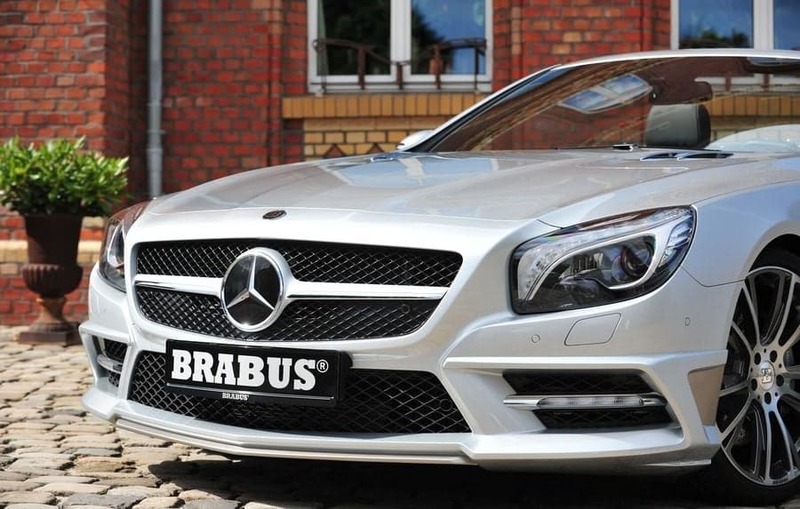 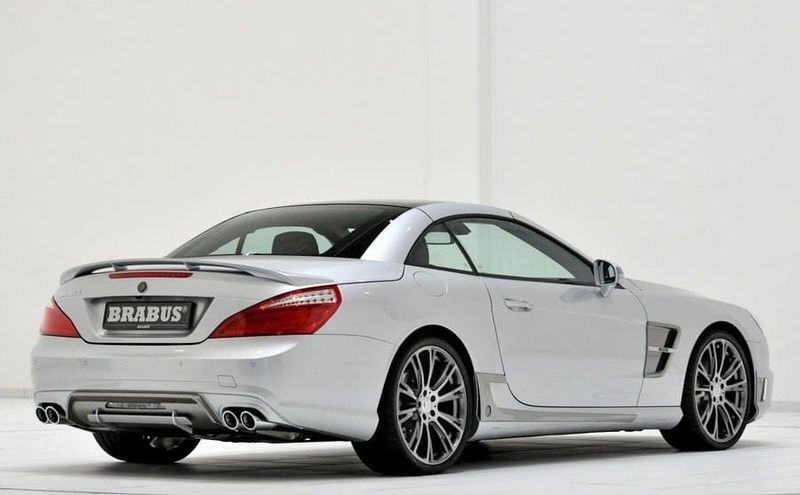 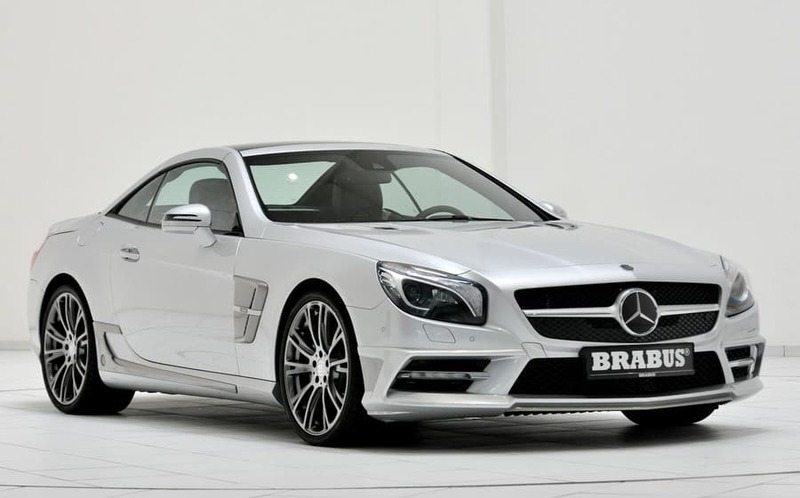 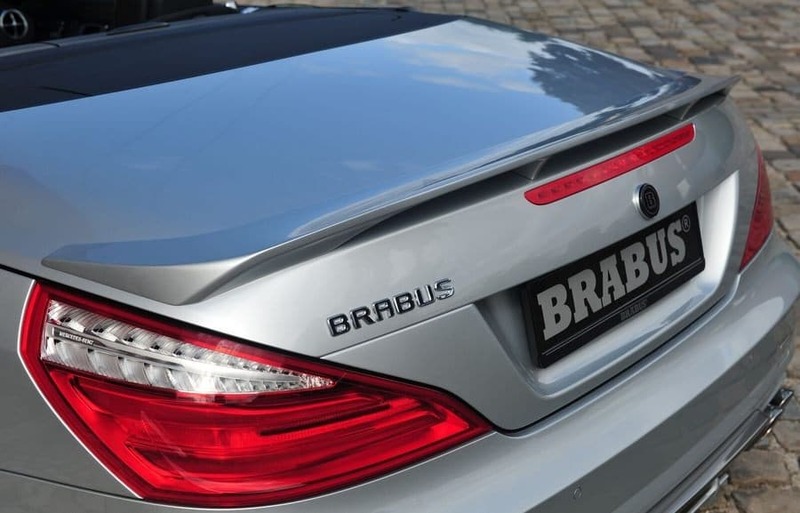 חברת בראבוס (BRABUS ) חושפת את המרצדס SL החדשה בעלת 512 כ"ס. 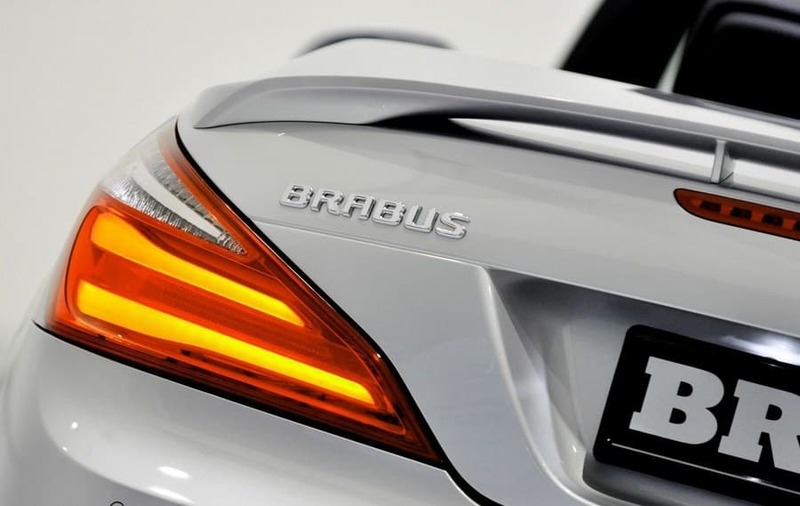 מ-0-100 קמ"ש תוך 4.4 שניות ועד מהירות מרבית בת 360 קמ"ש בגרסה החזקה יותר. 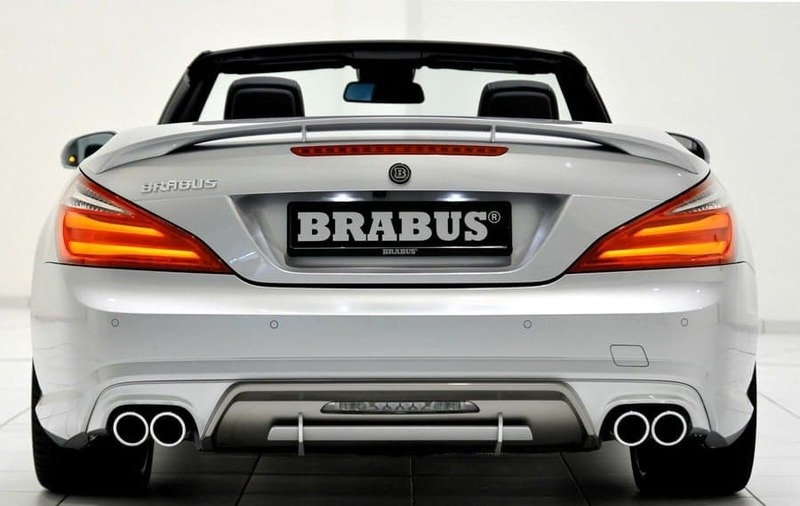 Exclusive refinement for a unique automobile: BRABUS (Brabus-Allee, D-46240 Bottrop, phone + 49 / (0) 2041 / 777-0, fax + 49 / (0) 2041 / 777 111, Internet www.brabus.com) now also customizes the sixth generation of the Mercedes SL. 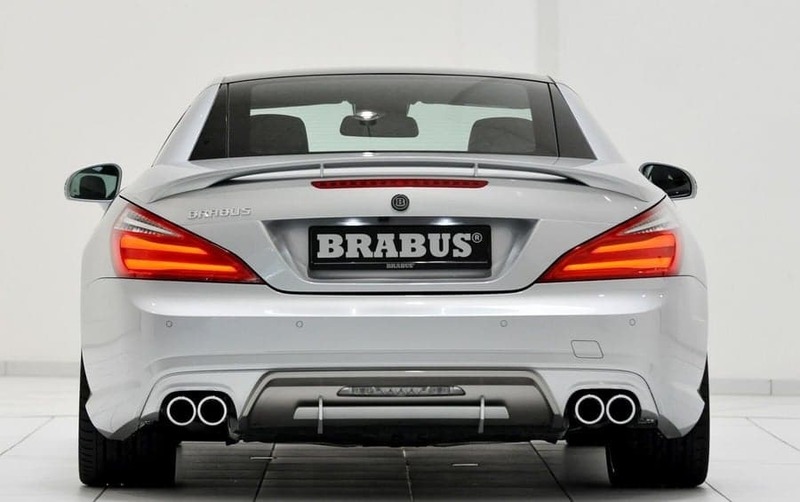 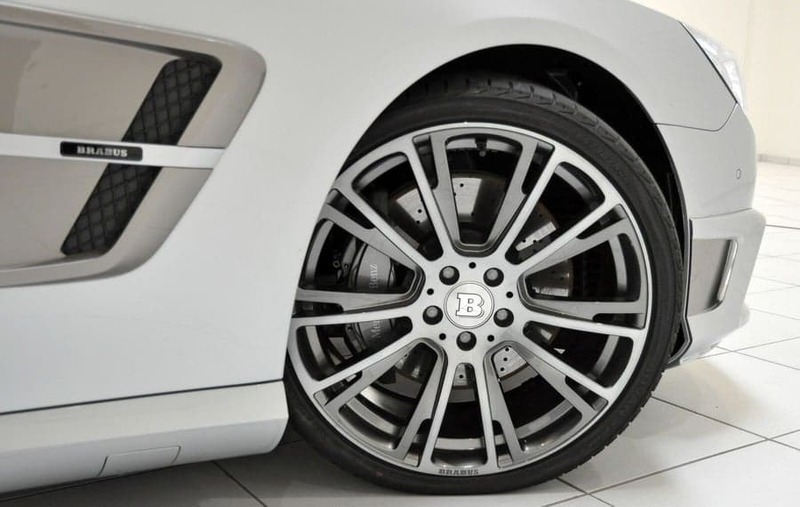 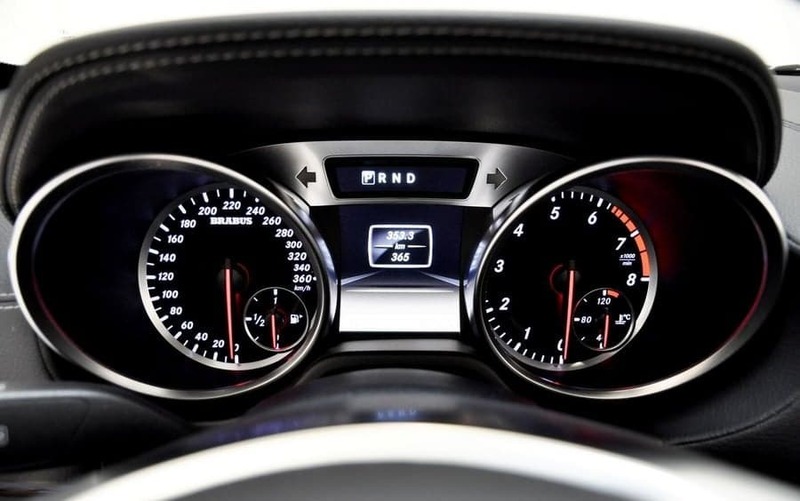 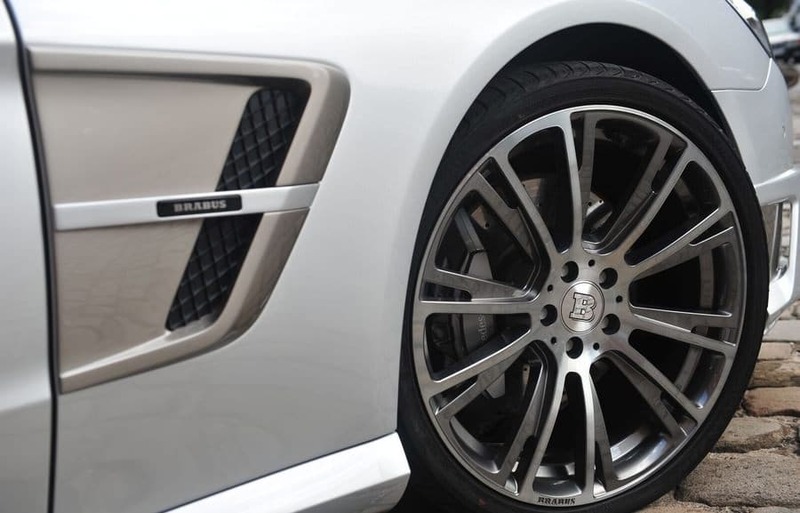 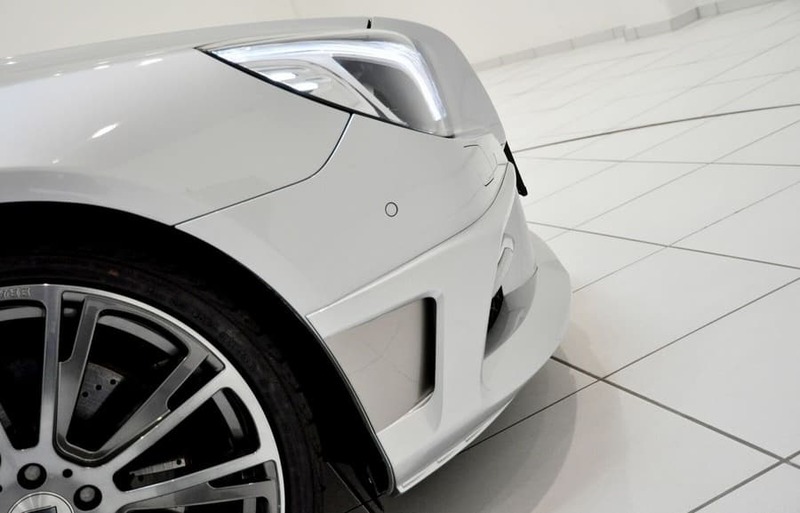 The measures include a striking BRABUS designer outfit, thrilling alloy wheels up to 20 inches in diameter, even more agile handling as a result of professional suspension tuning, a power increase to 520 hp (512 bhp) / 382 kW for a top speed of up to 300 km/h (186 mph) for the 500 SL, and interior options custom-tailored to the owner's personal style. 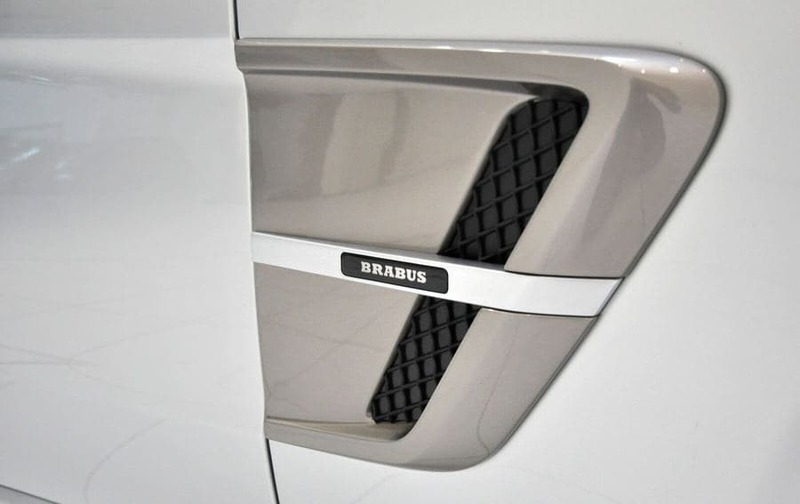 Sporty-elegant body styling components, tuned in the wind tunnel for maximum aerodynamic efficiency, are the BRABUS designers' specialty. 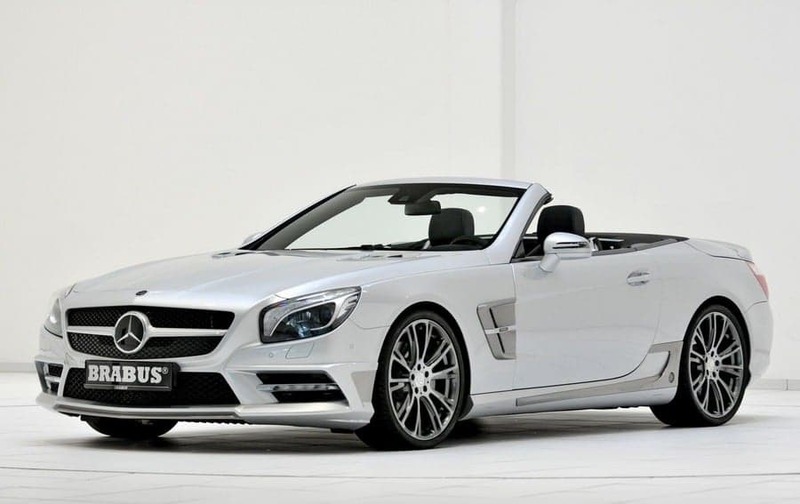 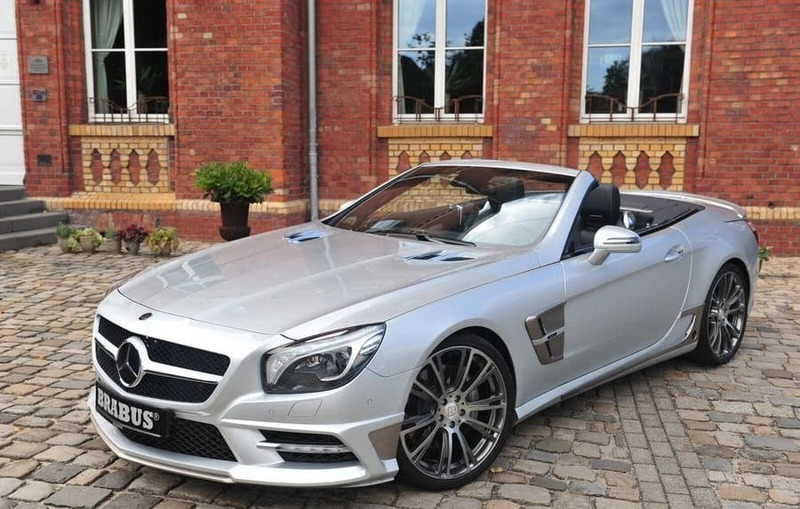 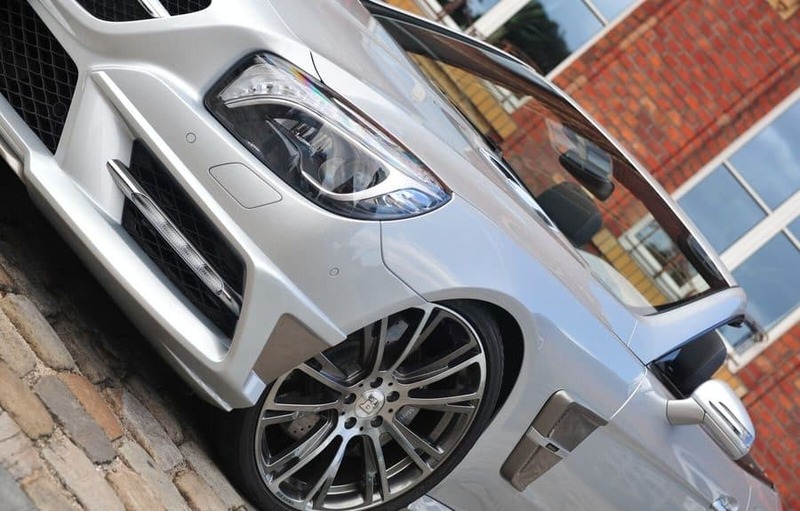 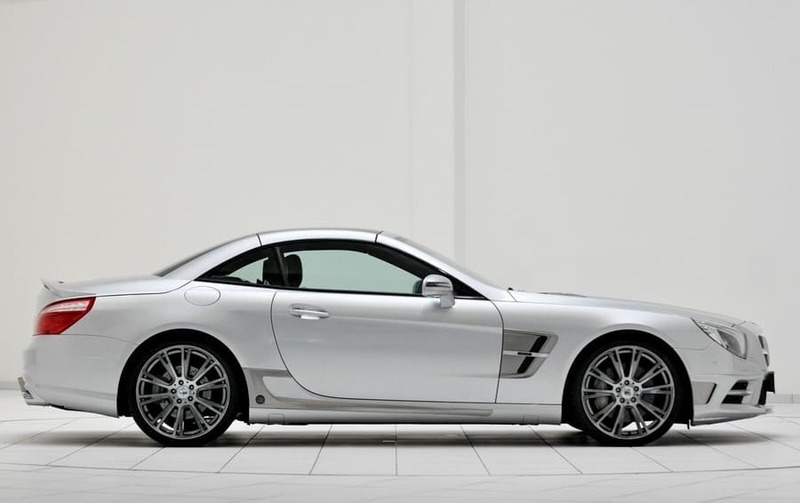 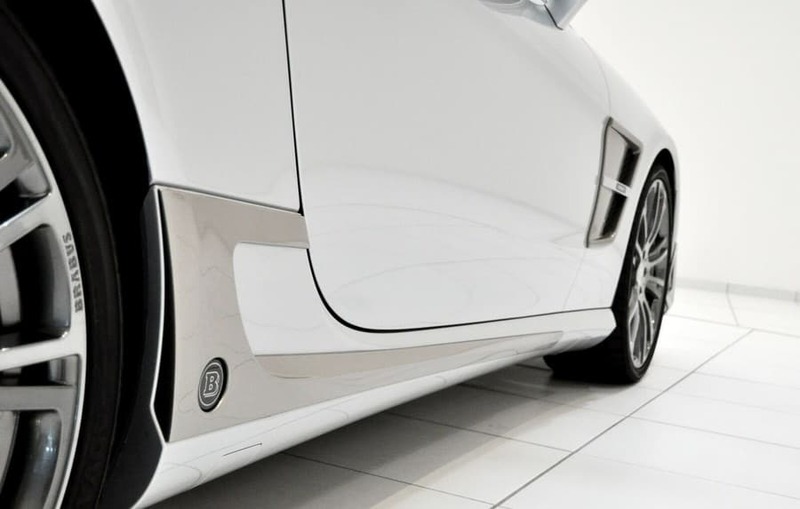 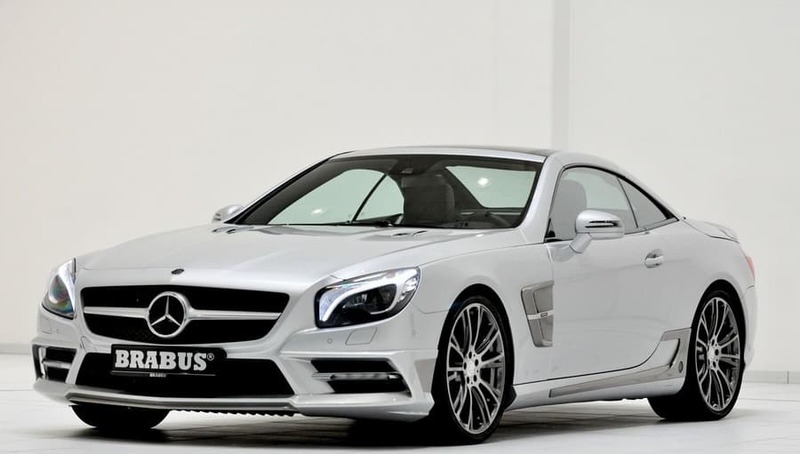 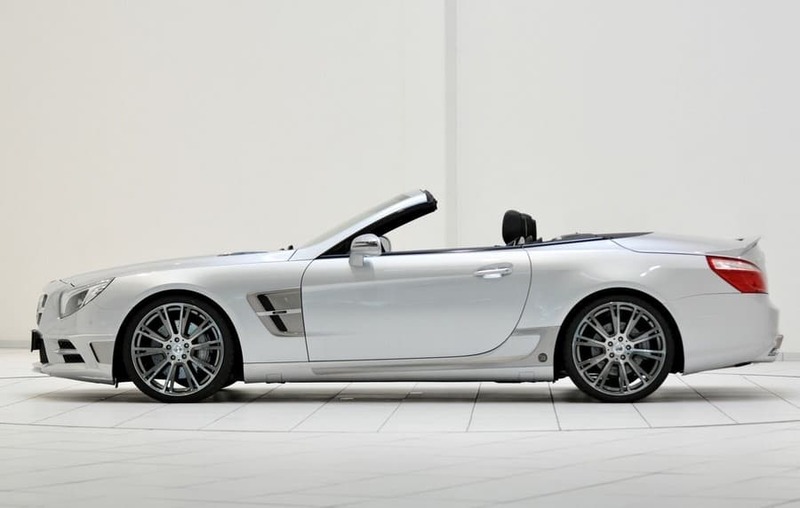 With or without AMG Sport package: Custom-tailored front fasciae, add-on components for the side sills and rear fasciae were developed for both body styles of the SL. 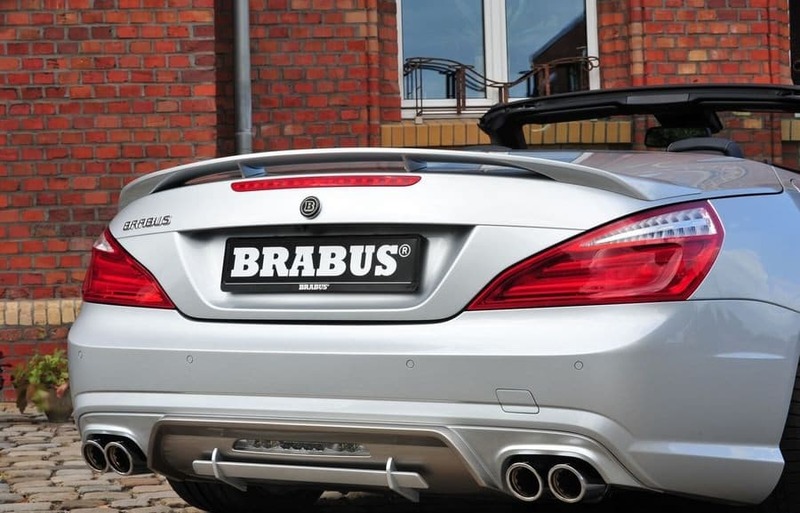 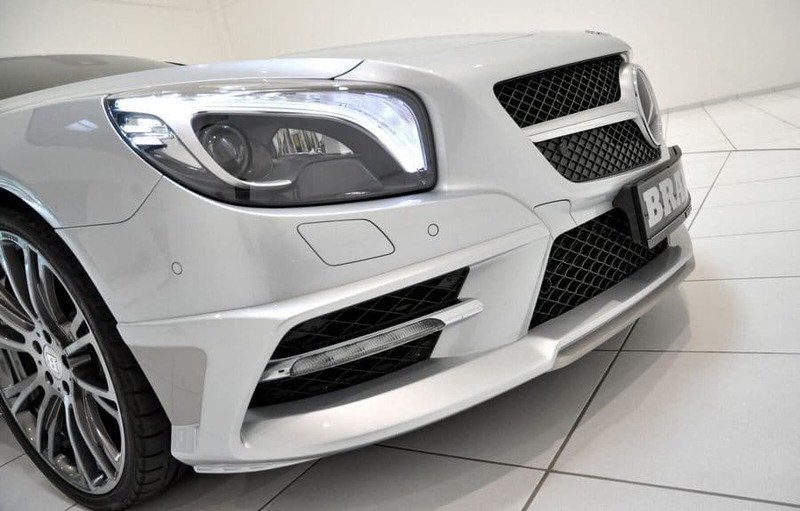 There is also a BRABUS rear spoiler and side air vents for the front fenders. 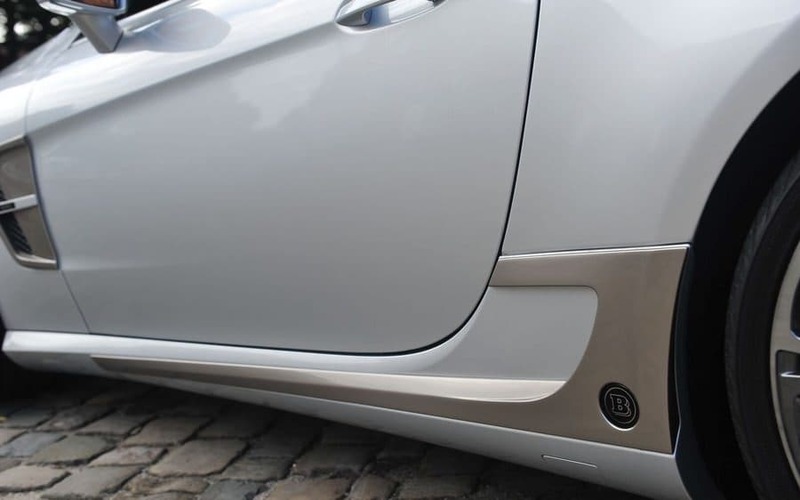 For a perfect fit all components are manufactured in OEM quality from high-grade PUR plastics. 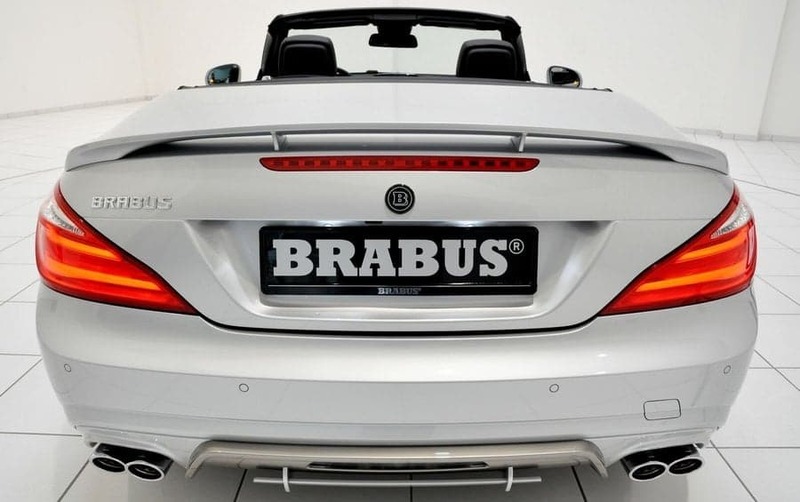 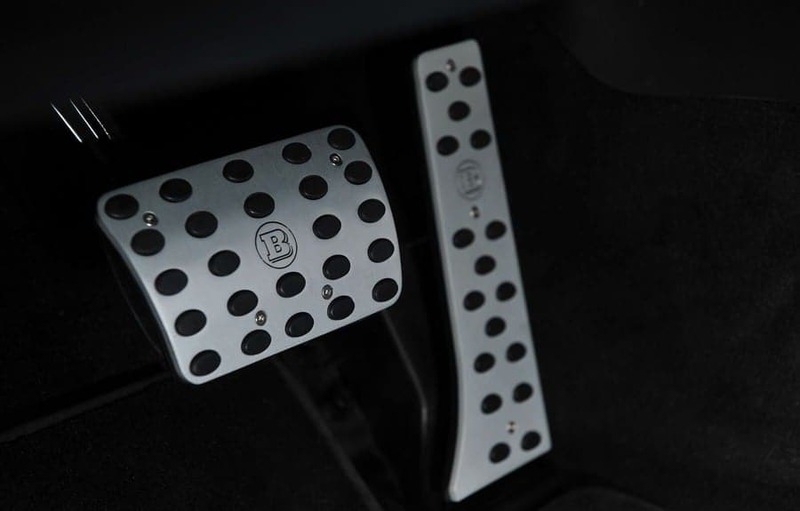 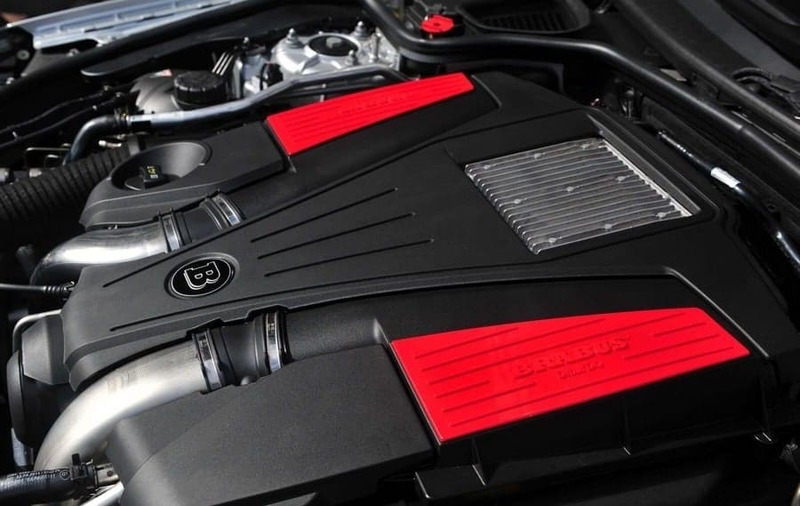 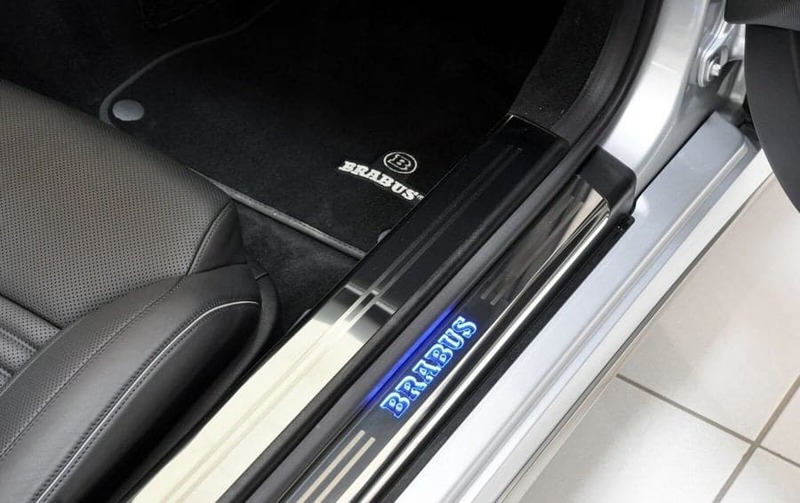 The BRABUS PowerXtra module with plug-and-play design is integrated into the engine electronics to generate more power as a result of special mapping for injection and ignition as well as of moderately increased boost pressure. 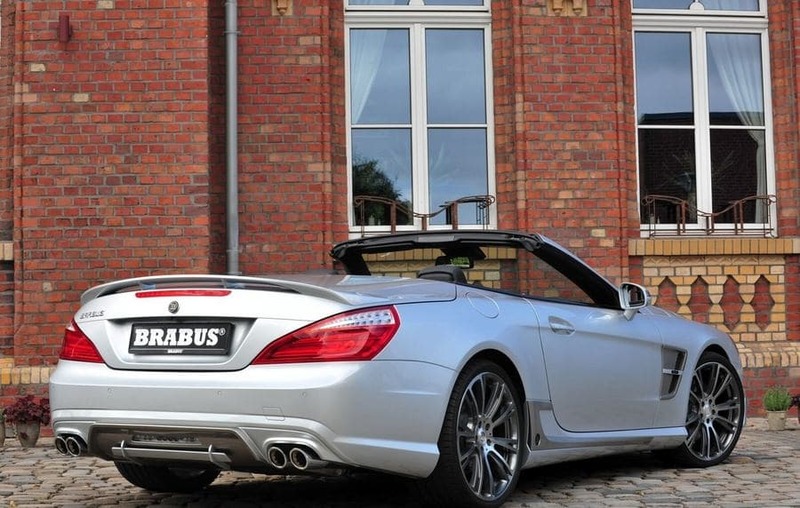 But that's just one part of the equation. 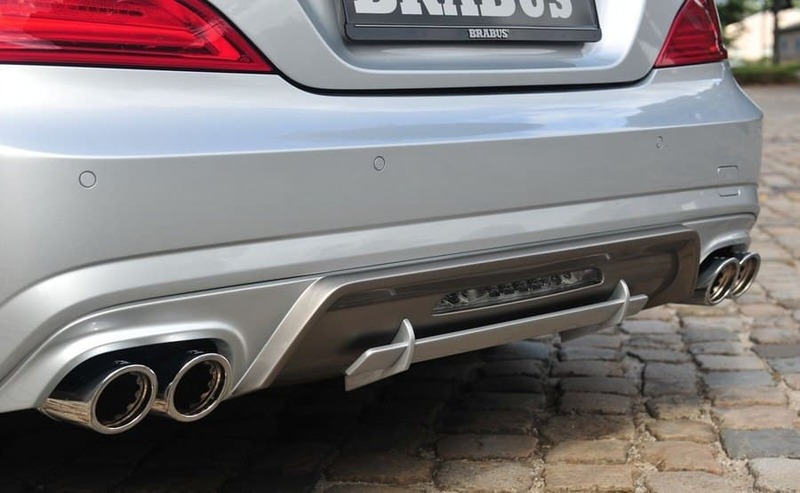 The conversion also includes an auxiliary water-to-air intercooler powered by an auxiliary electric pump. 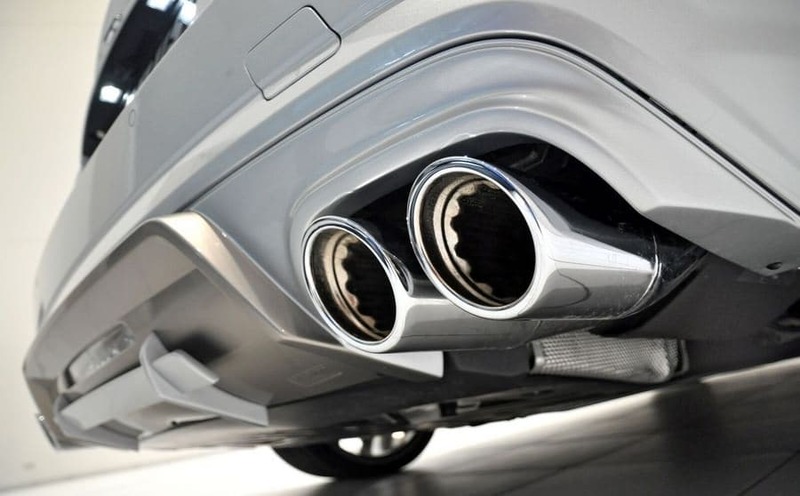 The drop in charge air temperature benefits not only power yield but also engine life even under extreme operating conditions such as in the desert, for example.